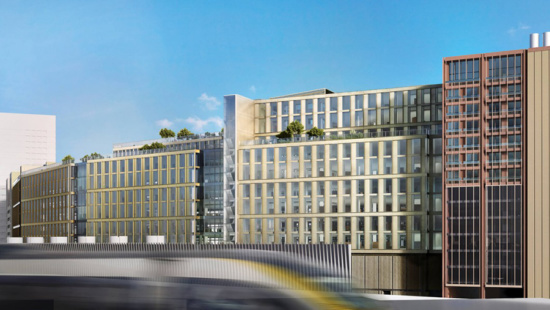 Since 2017, Facebook has stated its intention to establish a new British headquarters within the ongoing redevelopment of King’s Cross Central in London. The London Times speculates that architect Frank Gehry is currently in talks with the social media giant to fit out two adjoining buildings, currently designated T2 and T3, as well as a stand-alone building on a separate plot. The buildings T2 and T3 are designed by the British firm Bennetts Associates and are slated for completion in early 2019. In total, Facebook looks to add three buildings totaling more than 700,000 square feet to its London footprint. According to the Architects’ Journal, Gehry has designed numerous buildings for Facebook in the past, including its campus in Menlo Park and a ‘fit-out’ of Rathbone Square. 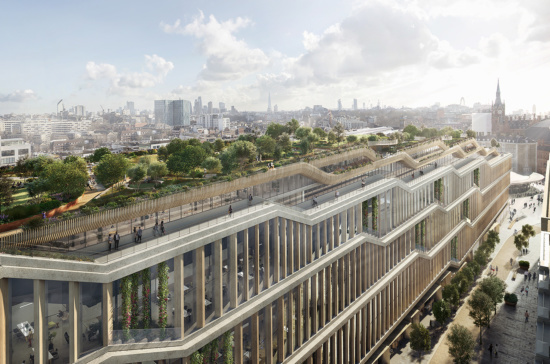 The larger development surrounding Facebook’s potential new headquarters, King’s Cross Central, is a 67-acre mixed-use redevelopment site encompassing fifty new buildings, 1,900 homes, twenty new streets, and twenty-six acres of public space. British developer Argent is leading the project and the master planners are Allies & Morrison and Porphyrios Associates. The transformation of King’s Cross from decrepit industrial district to emerging tech hub is influenced by its proximity to King’s Cross Station and St. Pancras International. These stations provide unrivaled rail transport access to international, regional and local transport networks. According to the Urban Land Institute, over 63 million passengers will pass through King’s Cross–St. 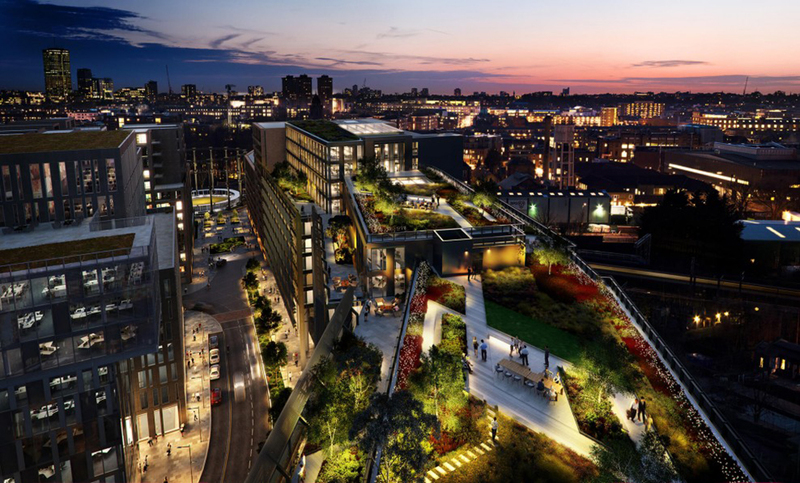 Pancras by 2022, and approximately 45,000 Londoners will directly live or work in the district. Facebook is not the only tech giant shifting personnel to King’s Cross Central. In 2017, Google submitted plans for a nearly one million square foot headquarters in the sprawling redevelopment site. Designed by BIG and Heatherwick Studios, the 11-story building will extend horizontally approximately one thousand feet, a distance roughly on par with the height of London’s tallest building, the Shard.